Our model is hand-crafted from wood with planks on frame construction. This model is not a kit and ready for display. Metal parts are brass chromed. This Number Boat model is leaving blank without any number on it. Please feel free to order with your custom number to name on the model. The new Number Boat is a modern gentleman’s launch, elegant and fuel efficient, quiet and smooth running, wonderful for conversation and touring. A boat for the captain who wants the beauty of a traditional long deck launch combined with the reliability of a strong fiberglass hull and modern power plant. 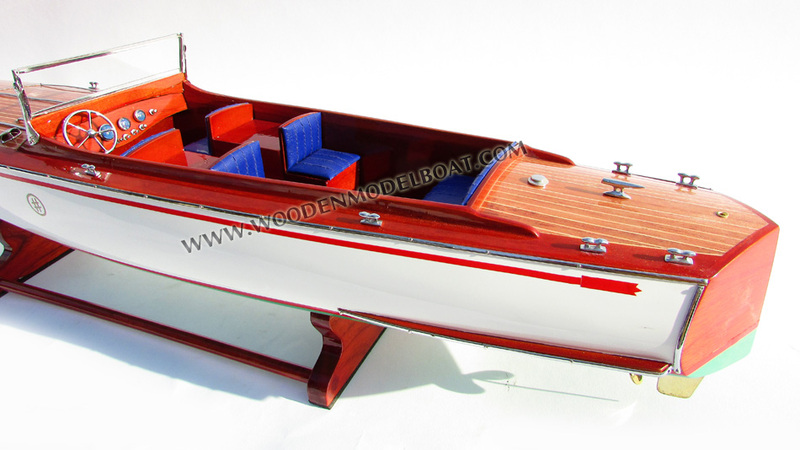 The deck and interior are varnished solid mahogany and Spanish cedar, upholstery is of soft leather and the engine a Marine Power 4 cylinder 140hp. Top speed is about 30mph. 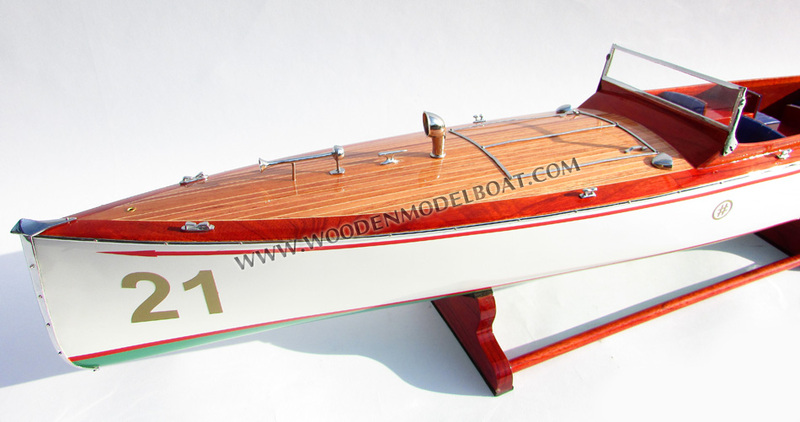 The 1909 design by Charles D. Mower was intended as a fast racing boat that could also serve as a family runabout on the St. Lawrence River. The original twenty boats were built by the Leyare Boat Works in Ogdensburg and sold on a subscription basis, each boat given a number in the order purchased. These numbers were painted large on the topside at the bow so the boats could be easily identified while racing. Over the years these boats became known locally as the “Number Boats”. August 2010 was the 100th anniversary of the first official races for the T.I. One-Design. It is our intention to recreate a race on the old courses with as many of the original Leyare built one-design boats as can be enticed to attend. At present we know of six of the original boats that might be capable of running and one wreck awaiting a total rebuild. There may be more of them out there disguised as fishing smacks or work boats. Maybe a little publicity will bring them to light. Along with the new boats we could provide quite a spectacle. Hopefully the Thousand Islands Yacht Club and the Chippewa Yacht Club in conjunction with the Antique Boat Museum and the A.P.B.A. 's biannual Race Boat Regatta in Clayton will sanction the event on the St Lawrence River. The Everett Boat Works is a small enterprise located in an 1850’s dairy barn in St. Lawrence County. 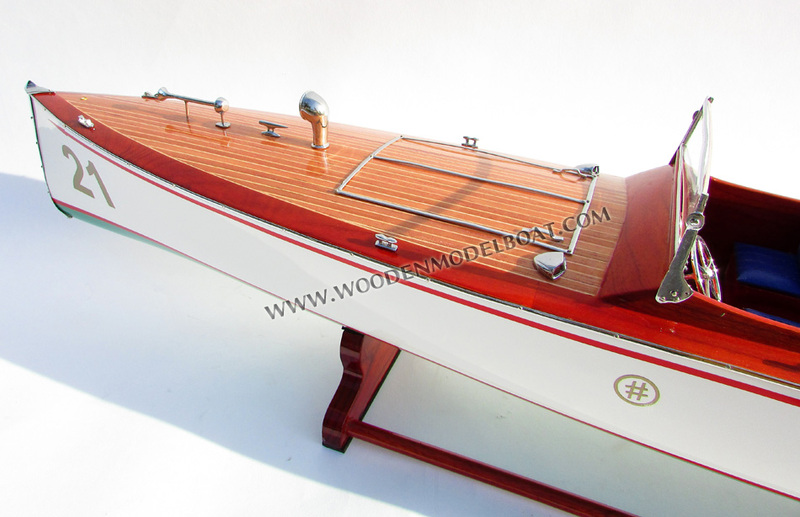 We have been building and restoring wooden boats since the beginning of the wooden boat revival in the early 70s - for nearly thirty-six years. Inspired by Atwood Manley’s book on J. H. Rushton, just like folk music, we started building Rushton canoes. 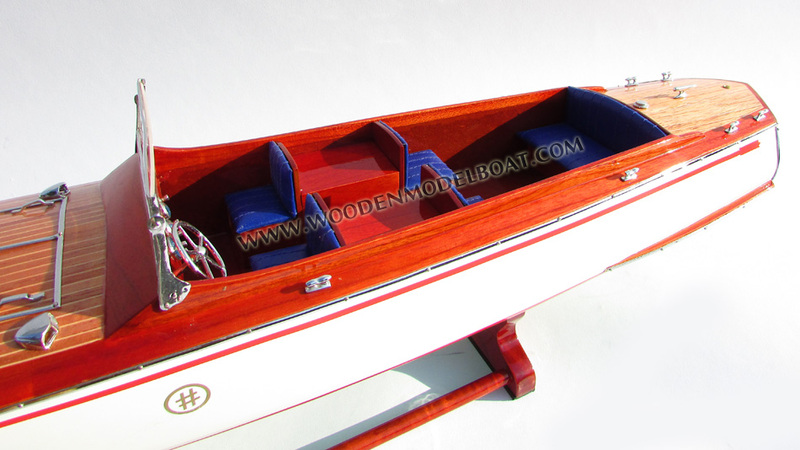 We have worked on Adirondack guide-boats, St. Lawrence skiffs, early motor boats, Alden sail boats and vintage race boats, any thing wood that we could fit in the barn. The Number Boat project began with engineer Bob Cox, owner of Ft. Lauderdale Marine and co-founder of the Antique Boat Museum in Clayton, NY. Bob thought some of his customers might like a quiet and elegant way to travel back and forth to their yacht club on the intercoastal canals. We both shared an interest in the early smooth running motor boat hulls. Bob engaged Northend Composites to build a mould and to make the first hull. He then engaged the Everett Boat Works to install the engine and put in the traditional deck and interior. At present we have completed two in the Number Boat series. # 21 Bob is keeping and #22 is available for sale. The hull for # 23 is in the loft awaiting deck and interior. The new boat could be an electric launch or even a fuel cell. Bare hulls are also available to individuals wishing to complete their own launches. The fiberglass foamcore hulls are made by Shaw Yachts in Rockland, ME. They each have two bulkheads and a two inch wide tab running along the inside at the sheer, set at the appropriate camber to facilitate installation of deck beams. Specific hull lam description available on request.